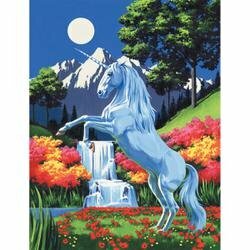 Are you looking for Unicorn Paint By Number Kits? 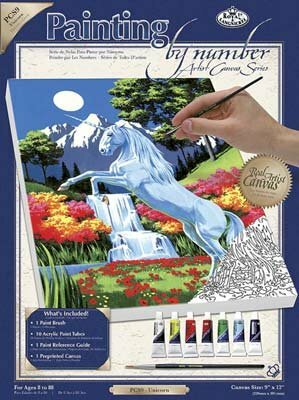 Unicorn paint by number kits would make the perfect gift for anyone who is a fan of Unicorn and fantasy paintings. Painting one of these Unicorn paint by number kits would be a wonderful pastime and once completed your painting would look stunning as part of your home decor. 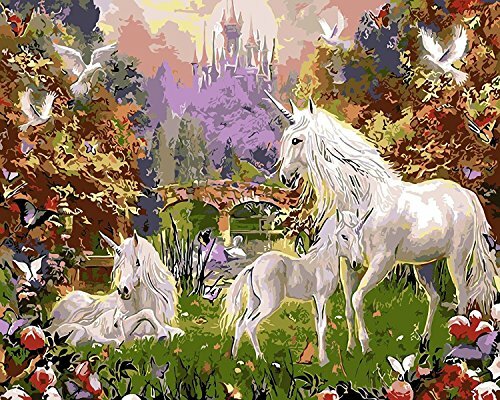 You might want to give a paint by number kit of Unicorns to a Unicorn fan that you know or on the other hand you could always have the fun of working on the paint by number on your own and have your finished masterpiece framed and give it as a gift. If any of the ideas above are in your plans don’t wait too long to purchase your Unicorn paint by number kits as they’ll disappear off the shelves close to the holiday season. That really would be heart breaking if you have your heart set on a few of these paint by number kits of unicorns. This Waterfall Glade Unicorns Paint by Number Kit by Plaid Creates comes with a numbered canvas and simple instructions. The finished unicorn painting measures 16 inches by 20 inches. The paint by number kit has everything you need to complete this painting. This Unicorn paint by number kit is whimsical and full of fantasy, the waterfall Glade Unicorn paint by number set by Plaid celebrates the imagination. 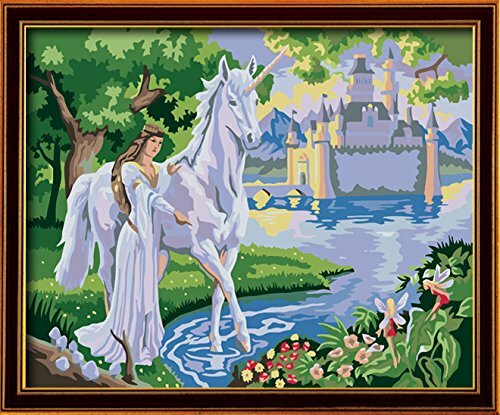 This Unicorn paint by number kit measures 16 inches by 20 inches and comes without a frame. The paint by number kit comes complete with pre-printed textured art canvas, 3 sizes of paint brushes and enough acrylic paint to complete your painting. 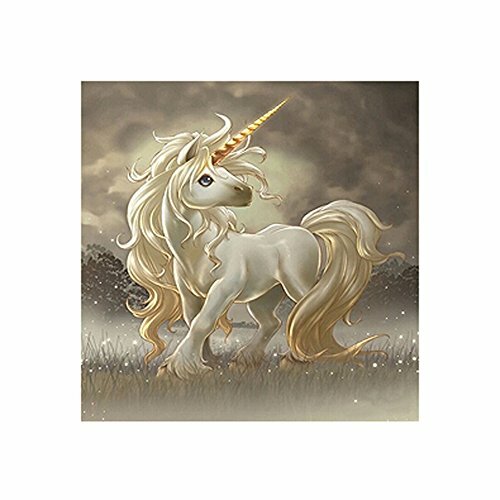 This White Horse Unicorn paint by number kit measures 16 inches by 20 inches and comes with a textured pre-printed numbered canvas without a wooden frame. The kit comes with the canvas, 3 paint brushes, easy to follow instructions and enough paint to complete your unicorn painting. 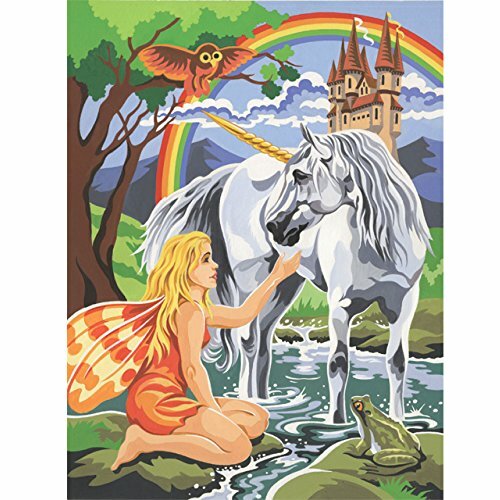 If you enjoyed this page on unicorn paint by number kits you might also like some of our other fantasy paint by number kits as well.